Perched on the edge of the stunning Telegraph Bay, Le Méridien Cyberport offers the perfect location for productivity and relaxation. Within minutes of Hong Kong’s city centre, the hotel represents a slightly isolated retreat for business travellers who want to get away from it all while still remaining within reach of the fast-paced world of commerce. 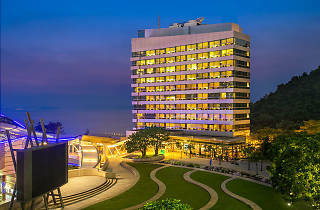 The hotel offers views of both parkland greenery and the sea's sparkling turquoise waters. 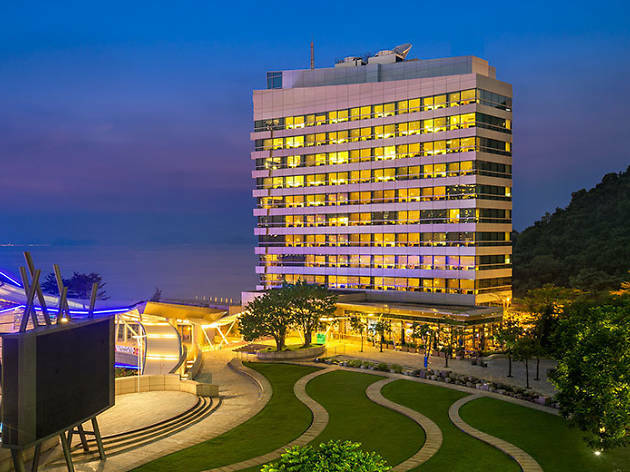 For recreation and entertainment, the hotel has a Cardio Vascular Suite, outdoor pool, steam room, theater, and sauna, and there is also a jogging trail and shops nearby, as well as boat trips to Lamma Island.